Whether you’re a McAllen Native or not, your dental health is important. Regular visits and cleanings every six months will discover decay at early states and put your mind at ease. Please see below service offered at Midnite Dental. Click on a procedure to see an explanation or view a video. • Taking diagnostic x-rays: important for the recognition of tooth decay, tumors, cysts, and bone tissue loss. X-rays also assist determining tooth and root positions. • Oral cancer testing: We will check your face, throat, mouth, tongue, neck, tissues, and gum tissue for any indications of oral cancer. • Gum health assessment: We will check out your gum tissue and bone tissue around your teeth for almost indications of periodontal disease. • Recognition of tooth decay: All tooth areas are examined for decay. • Examination of any present dental restorations: inspection of present fillings, crowns, etc. • Removal of calculus (also called tartar): Calculus is the hardened plaque which is left on the tooth for a while and is now securely connected to the tooth surface. Tartar forms above and underneath the gum line and can only be removed with special dental care tools. • Removal of plaque: Plaque is the stick y, almost invisible film that forms on the teeth. It’s actually a developing colony of living bacteria, food debris, and saliva. The bacteria create toxins that inflame the gum tissue. This problem is the beginning of periodontal disease. • Teeth polishing: We eliminate the stains and plaque that is not usually eliminated during enamel cleaning and scaling. A non-removable dental bridge restores your mouth to normal function and appearance by replacing any missing teeth. It improves the overall health of your mouth by keeping the surrounding teeth in their proper position and it also helps to maintain the support structure of the jaw and face. A "cap", "jacket" or "crown" can restore a broken, cracked or heavily filled tooth to its original size and shape. Crowns are also frequently indicated after root canal therapy has been completed, as the tooth tends to become more brittle and is more liable to fracture. Crowns can also strengthen and protect the tooth structure, while improving the appearance of the tooth. New materials render crowned teeth that are natural looking. Some people believe that once they have dentures, they no longer need regular dental care. Nothing could be further from the truth. Full and partial denture wearers require regular examinations to ensure their continued dental health, comfort and appearance. The supporting tissues or ridges in your mouth are in a constant state of change. Periodic relining of these denture may be necessary to have a proper and comfortable fit. While frequently free of any obvious signs or symptoms, periodontal disease can progress without detection until the supporting structures of the teeth are lost or destroyed. 80 to 90% of all teens exhibit some form of gingivitis (inflamed gums) and 75% of all adult tooth loss is due to periodontal disease. So it is obvious why early detection and treatment are essential. Our office employs excellent prevention techniques and we develop an individualized treatment regime for each patient. Implants are artificial replacements for missing roots for a tooth. They are placed in the jaw to act as a foundation to secure crowns, bridges and dentures. 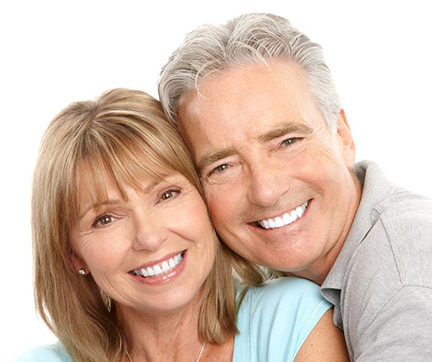 Many patients who have suffered with removable dentures for years are dramatically helped by implants and helped to return to normal function and appearance. If the interior of a tooth, where the nerves and blood supply are, becomes infected or traumatized, a root canal may be the only way to save the tooth. Contrary to popular belief, modern root canal treatment is painless and no more difficult to endure than other common dental procedures. Teeth can be restored to function and preserved. "TMJ" is short for temporomandibular joint, which is the joint of the jaw. TMJ is used to describe a variety of functional or painful problems of the jaw, which are relatively common. Some studies suggest as many as one in every four people have some type of jaw problem. Fortunately, most can be helped. There are various methods to manage TMJ disorders. Conservative treatment is usually indicated, utilizing a bite appliance, bite adjustments, orthodontics, or crowns. The last ten years have seen a total renaissance in the cosmetic dentistry field. Dental work now can be almost undetectable. Teeth can be totally reshaped or replaced with today’s modern dental materials. 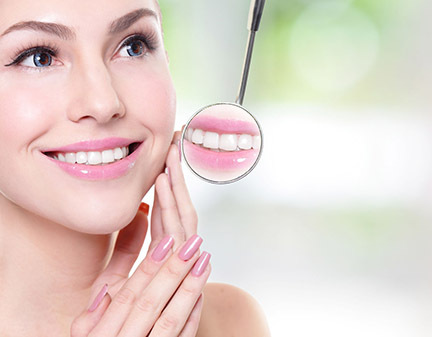 Teeth that were unsightly and unattractive before can become completely beautiful. Tooth whitening, porcelain veneers, and crowns are some of the procedures that can be used to produce the smile you have always wanted. Lumineers are very thin porcelain coverings that are bonded to your teeth. Because they are very thin allows your dentist to minimize the preparation of your teeth while still creating a beautiful transformation. There is often little to no discomfort to this procedure, which usually requires 1-2 visits. Simple, effective and safe modern tooth whitening materials can give you the beautiful white teeth you have always wanted. We have been doing this procedure for years and there is absolutely no harm to the teeth. It is inexpensive, it works, and it will make a difference to your life. 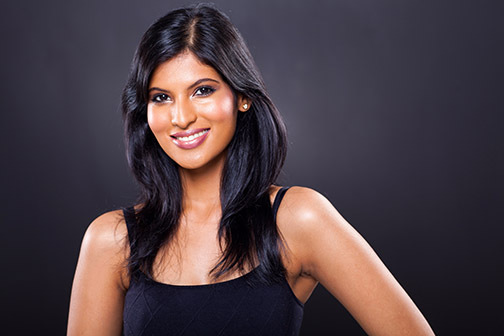 Over 2.7 million patients are smiling with confidence thanks to Invisalign clear aligners. Without brackets or wires, Invisalign clear aligner treatment takes a modern approach to teeth straightening and is virtually invisible. Highly effective in preventing decay on the biting surfaces of children’s chewing teeth, fluoride-releasing Sealants are done by a simple procedure where a tooth-colored acrylic "coating" is painted into the pits and grooves of the teeth. This "seals" out the bacteria that cause tooth decay. We have a special interest in more complex dental treatment and often take care of patients referred from other doctors. These cases often involve multiple teeth or the entire mouth. Frequently these teeth have an unsightly appearance and are broken down or weakened by decay or defective large fillings. Sometimes multiple teeth may be missing or hopeless, requiring removal. Careful reconstruction, using advanced techniques, returns the mouth to normal function and a pleasant appearance. Often this is accomplished with fixed crowns, bridges, or implants, so that the patient feels like they have their own teeth again. Healthy function and a natural appearance gives the patient the confidence to eat and speak in public again. For children and adults who have crowded, crooked teeth, spaces between teeth, or misaligned teeth and jaws, orthodontic therapy can help reduce the risk of tooth decay, periodontal (gum) disease, not to mention the physical trauma due to protruding teeth. Nothing is as pleasant as a beautiful smile. It is recommended that children have an orthodontic evaluation by seven years of age. More than 25% of all orthodontic patients are adults. Morning appointments possible upon request and availability.